Open and airy inside. Great view out the huge windows. Just one block UP the hill which can be a big deal if you aren’t used to hiking. 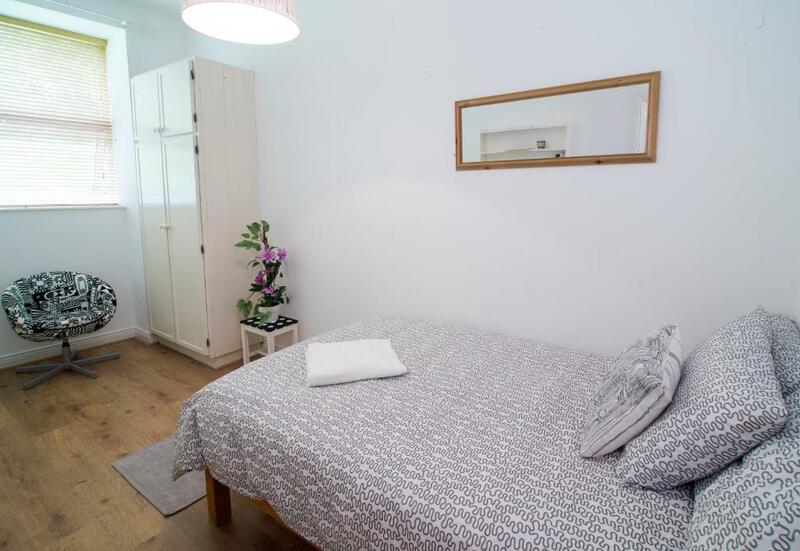 Great location, good value, clean and comfy. Modern little apartments! 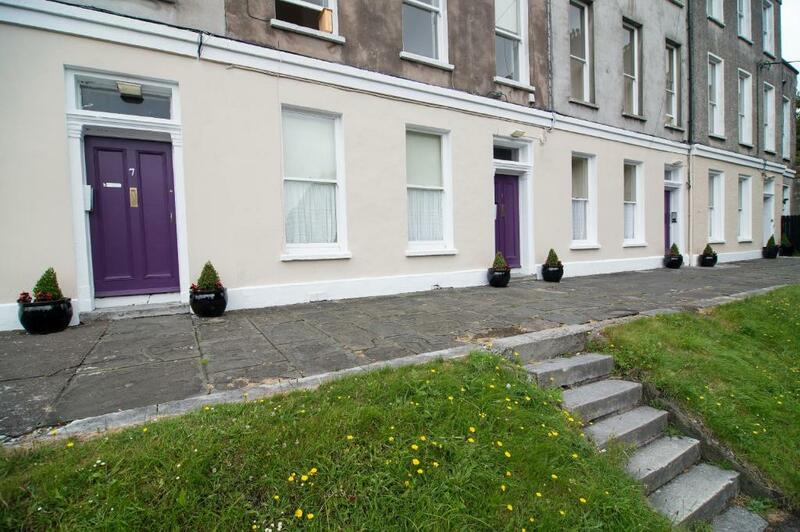 Great location, within walking distance of City Centre. Very close to some great restaurants and bars! Would suit a young couple looking for a relaxing visit to Cork. 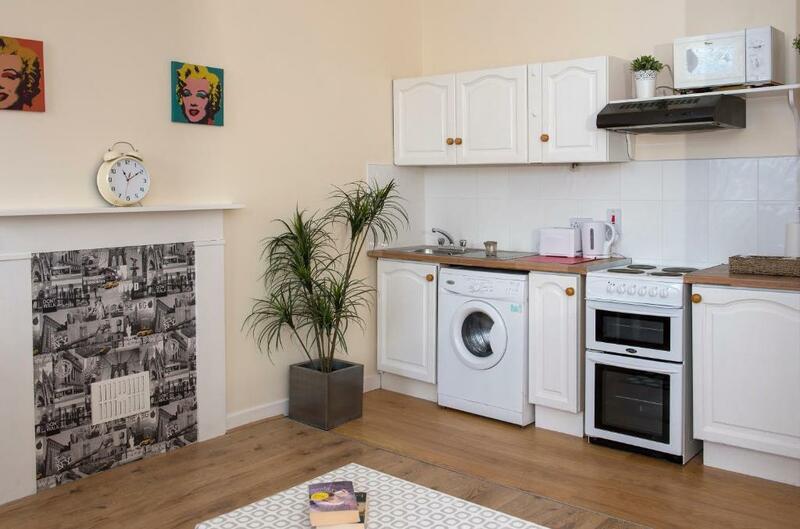 The one bedroom apartment has all facilities you need such as washing machine, cocker, refrigerator, microwave, oven. Very clean. Staff are very nice. The bedrooms were adequate size. Ours had a pretty view. We liked the fact that one of our rooms had three bedrooms. The lady on reception was extremely friendly and helpful. The property was close enough to the city centre to be able to walk in. Awesome staff and very good price for the location. The place was small enough cute and woukd have been comfortable. Easily within walking distance to downtown. Staff was pleasant, quick to respond during check in process. 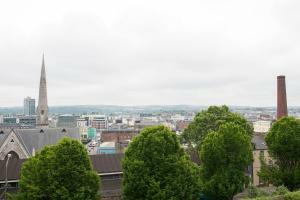 Lock in a great price for Stay Cork-Your Stay, Your Way – rated 8 by recent guests! 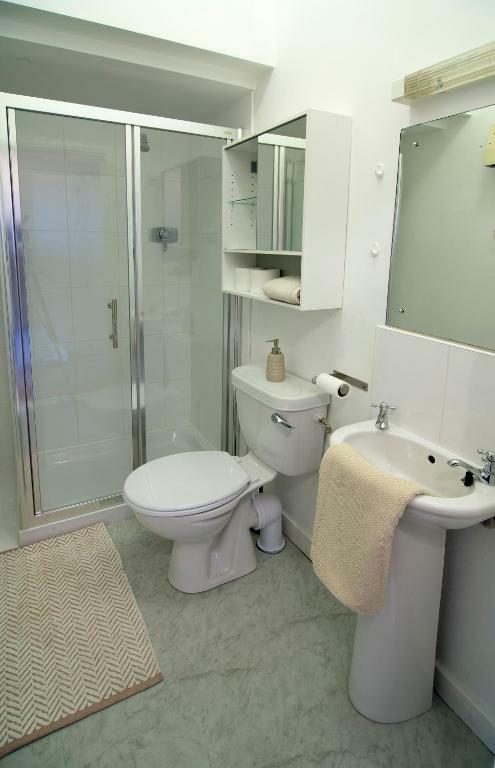 Each Stay Cork apartment features a fully equipped kitchen, plasma-screen TV and a bathroom with power shower. A separate lounge area is provided, as well as towels and linen. The self-catering apartments are 5 minutes’ walk from bus and rail stations, and a 15-minute taxi ride from Cork International Airport. Many art galleries and museums can be found in the city center, as well as nightlife and pubs offering traditional Irish music. 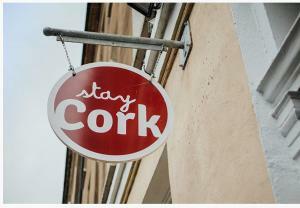 When would you like to stay at Stay Cork-Your Stay, Your Way? 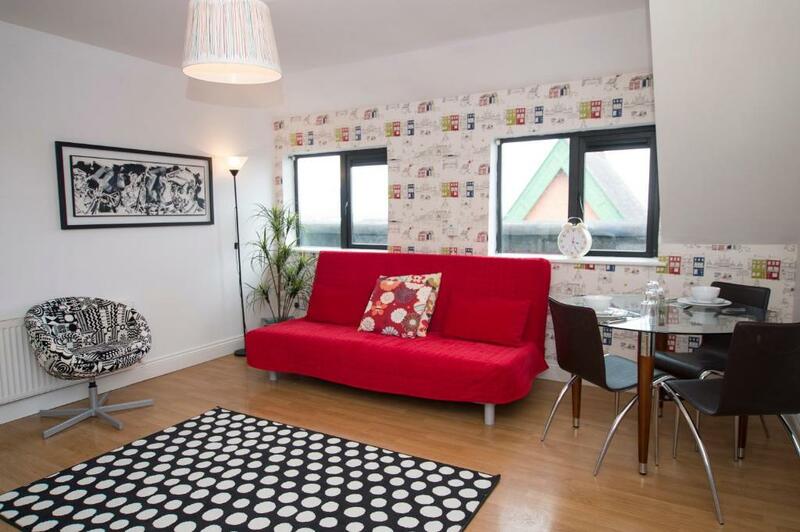 A fully equipped kitchen, plasma TV and power shower are featured in this modern apartment. Linen and towels are also provided. Just to note, one of the apartments is a basement apartment. Style and decor is similar to all other apartments. A fully equipped kitchen, plasma TV and power shower are featured in the studio apartment. Linen and towels are also provided. There is a car park outside the front of the apartments. Cork City Council parking discs are required from 8.30am until 6.30pm, Monday to Saturday and can be bought at the office or at any local shop. Sunday is free of charge. Stay Cork are not responsible for cars parked in the public car park. House Rules Stay Cork-Your Stay, Your Way takes special requests – add in the next step! Stay Cork-Your Stay, Your Way accepts these cards and reserves the right to temporarily hold an amount prior to arrival. From February 18th 2019, please note that scaffold will erected outside Belgrave Place for replacement of windows and to preserve the façade of the period building. Please note that the pictures shown are for some of the apartment and decor and style may vary. Guests arriving outside this time will have their keys left in a secure location. The property will contact guests after receiving booking confirmation with additional details related to their stay. Parking costs EURO 2 per 2 hour ticket which can be purchased in any local newsagents or stores. Please note that guests might have to access their apartment through a few flights of stairs. Please be aware that the photos are just a sample of the apartments available. The standard is high throughout all the accommodations, although decor and style differs. Accommodations terms and conditions apply. These will be emailed to guests one week prior to arrival. Should guests require them sooner, please contact Stay Cork after the booking has been confirmed so that they can email them to you. A security deposit is required on arrival. This deposit is fully refundable upon check-out and subject to a damage inspection of the accommodations. After arriving we were told that we required to pay 165 euro security deposit which we were not aware off. But this was due to previous experiences with our places were didnt have to pay for that. Basically our holiday money was the security deposit. I just recommend anyone going here to have a lot of money even for just a 2 day stay we basically payed more and didnt get to do stuff because our money was on hold. We had intended to stay longer but if we had we would have been sent back because we would not have the deposit. Beds were uncomfortable. Space was rather small for our family of 5 but manageable for the little time we spent there. Paid parking but we arrived late enough and left early enough to avoid this fee. The building works outside our window. Loud and annoying during the day. However we were out and about for most of the day and evening so it didn't disturb us that much. Also...that hill up to the hotel was hilarious. So steep. Staff was helpful and friendly. Location was close to everything we wanted to see and do. Room was comfortable. It was extremely overpriced for what it was. The personal was extremely rude. It isn’t possible to sleep in the room since every noise from the apartment above could be heard to the point I couldn’t sleep. The shower also incredibly uncomfortable. Overall one of the worst places I have stayed in. I didn’t like anything. It was a horrible stay. I liked the apt , the lady I spoke with was lovely. The area was ok for the one night .. it's not somewhere I'd stay for more than one night . As the area is quite dark and secluded. It isn't an area I'd walk back to from town in the evenings or night. The bed was extremely small in a small bedroom. Up a very steep hill so walking home late was hard work! The living area and kitchen were very good. The bathroom was fine. Paid parking on site was helpful but I'm not sure it is always available. The rooms were fine but quite basic, the one bedroom apartment did only have 2 mugs etc even though there were 3 of us staying in the room and the main area in the two bedroom apartment was quite small, so quite a squeeze for 5 people. The area surrounding the apartment isn't the best, although it is near to the centre, the hostel in between did have a lot of people hanging around outside of every night. The rooms were fine and the sofa bed in the one bedroom apartment was surprisingly comfy. The best thing about this was the hosts, we met two members of staff during our stay and both were incredibly friendly and helpful! 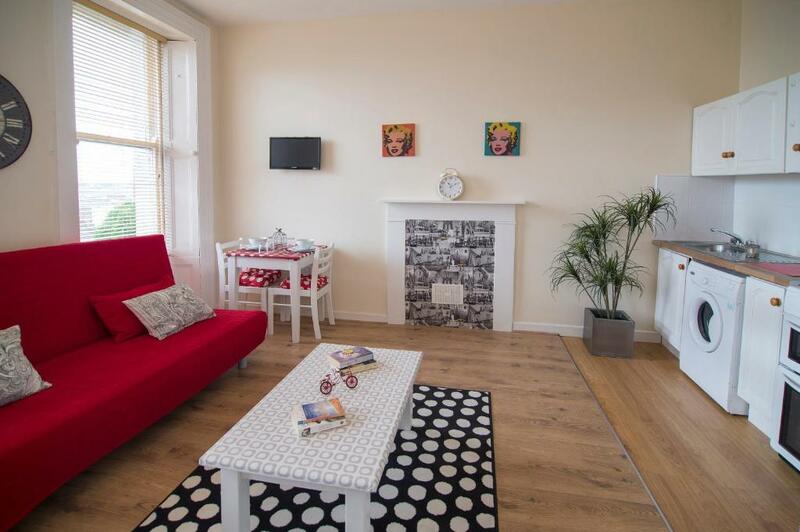 The location is good as you are in walking distance to the city centre. these are great apartment close to everything some apartment are bigger so call ahead to get the larger rooms. Slight musty smell in toilet . We meet two people who worked in reception and both were very pleasant and helpful.